Seton Hall University has selected This I Believe: The Personal Philosophies of Remarkable Men and Women for the 2012 Summer Reading Program! First-year students will pick up copies of the book at the campus bookstore when they attend summer orientation sessions in June. When they return to campus in the fall, new freshmen will use the book in two introductory courses: Engl 1201: Core English I and Core 1001: University Life. Core English I is First Year Writing course that emphasizes “the writing and reading processes of expository and persuasive rhetoric/argument,” including research, pre-writing, revising, and grammar, mechanics, and vocabulary. As part of the course requirements, Core English students take advantage of academic resources on campus, including one-on-one sessions with peer tutors and the university’s Writing Center. University Life is a Freshman Studies seminar that “aims to provide students with academic and personal success; integrate computer technology into academic instruction; familiarize students with University resources and opportunities; improve reading, writing, and analytical skills and support the University mission of “forming students to be servant leaders in a global society.” Components of the course include classroom discussions and activities, creating an online writing portfolio, attendance at multi-cultural and interdisciplinary events on campus, community service, and participation in a university club or organization. 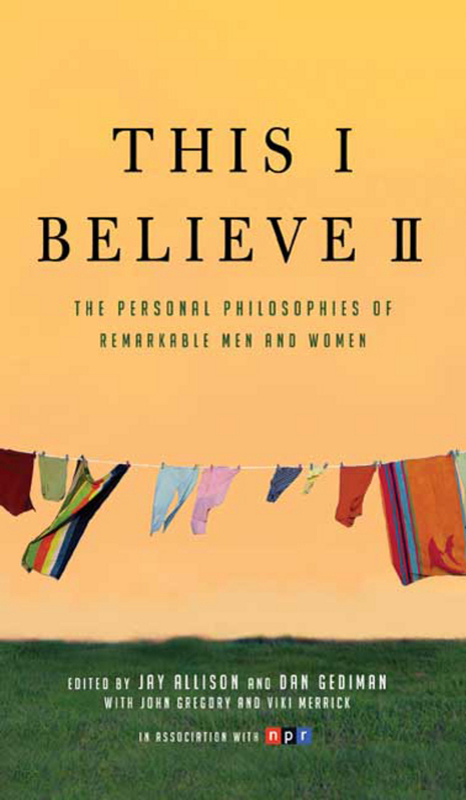 For the second year in a row, Virginia Tech’s Common Book Project selection is This I Believe II: More Personal Philosophies of Remarkable Men and Women. Every first-year student will receive a free copy of the book featuring the university’s signature VT on the cover and a letter Vice President and Dean of Undergraduate Education inside. The collection of essays “resonated strongly with members of the student body as well as faculty.” Among the seventy-five essayists are musicians Yo-Yo Ma and Béla Fleck, Nobel Prize Winner Elie Wiesel, the founder of the online community Craigslist.org, an anthropology student at the University of Chicago, a diner waitress, and an Iraq War veteran. Editors Dan Gediman and Jay Allison collaborated to revive Edward R. Murrow’s 1950s radio program, This I Believe, and then brought selected essays from the airwaves to press in This I Believe II and its preceding volume, This I Believe: The Personal Philosophies of Remarkable Men and Women. The collections both include pieces from the original 1950s series as well as contemporary submissions. The books also contain questions for discussion and a guide to writing one’s own This I Believe statement. Many Virginia Tech Hokies did write personal belief essays; some students opted to express their beliefs in audio or video presentations. Students believe in diversity, puppies, dancing, trust and respect in relationships, helping others, literacy, and much, much more. This I Believe projects of all kinds were published through Blogs@VT, the university’s own network of blogs by members of the VT community. The goal is for all students—from engineering to English majors—to discuss and learn from the same book, creating a common thread in the undergraduate experience. 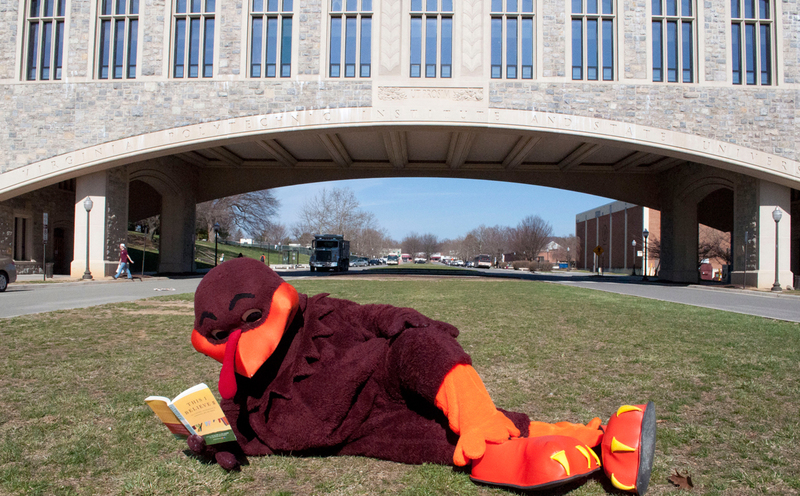 Read more about VTech’s annual Common Book Project here. This I Believe II and its preceding volume, This I Believe: The Personal Philosophies of Remarkable Men and Women, have been adopted for common reading programs at more than 50 schools! 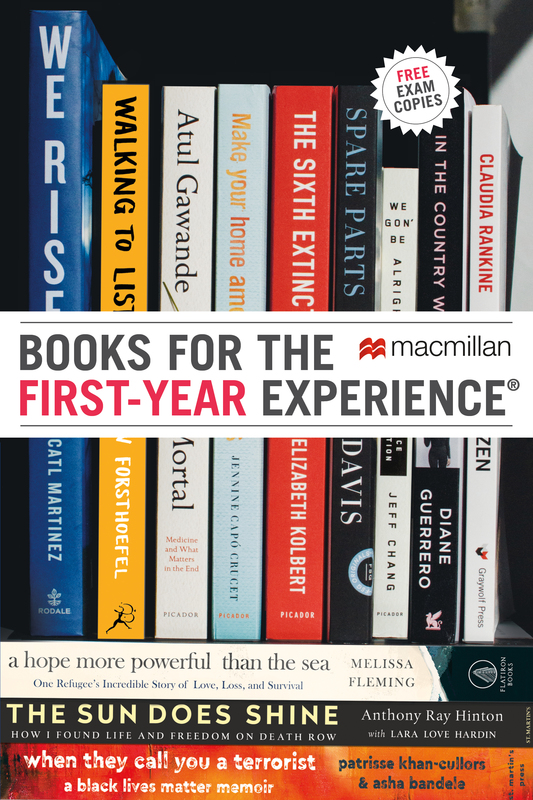 Click here to see other colleges and universities that have adopted these Popular Picks from Macmillan. New Bison heading to Bucknell University as members of the Class of 2015 are all reading This I Believe: The Personal Philosophies of Remarkable Men and Women this summer! The university sent copies of the book to first-year students this summer; students will discuss the book in small groups during Orientation in August. Those discussions will be lead by Foundation Seminar faculty from all areas of the university. Foundation Seminars are small, writing-intensive courses that focus on a wide variety of topics, mirroring the themes of Bucknell’s seven Residential Colleges: Arts, Environment, Global, Humanities, Languages & Cultures, Social Justice, and Society & Technology. Whatever the topics, [Foundation Seminars] are designed to cultivate the attitudes, skills, and knowledge necessary for students to benefit maximally from a Bucknell University education and to negotiate the complexities of the modern world. The seminars stress active, independent and engaged learning, and development of skills students need in order to engage in intellectual endeavors at Bucknell and beyond. The book will also be central to SLIF 99: Transition to College, a required student life workshop lead by a faculty member and a Peer Instructor. Beyond the classroom, Bucknell invites all faculty, staff and students to submit an essay or a video about their own beliefs for a collective university archive online. Ten entries by members of the class of 2015 will be awarded $50 gift cards to the Bucknell University Bookstore. This I Believe and This I Believe II, both collections of essays based on the NPR program of the same name, are two of Macmillan’s most Popular Picks for common reading. Click here to see the other schools that have used the books. This I Believe II: More Personal Philosophies of Remarkable Men and Women is the 2011-2012 Common Book Project selection at Virginia Tech! All first-year students will receive a copy of the book from the university. These customized books feature the VT logo on the cover and a letter from the Vice President and Dean of Undergraduate Education bound in the front matter. The Office of First Year Experiences and the Office of Residential Life collaborate to plan and implement the project. The FYE office has invited Dan Gediman to speak on campus this fall. Faculty teaching first-year seminars, as well as upper level courses, are encouraged to assign the book in class. In fact, VT’s Center for Instructional Development and Educational Research offers Common Book Grants of up to $2,000 to faculty who wish to enhance their instruction of the title in the classroom and beyond. The Common Book Program also extends into residential life on campus. Resident Advisors will plan and lead activities related to or inspired by This I Believe II to foster connections among new students and establish the dorms as communities for learning and discussion—extensions of VT classrooms. This I Believe II and its preceding volume, This I Believe: The Personal Philosophies of Remarkable Men and Women, have been adopted for common reading programs at more than 25 schools. The books were among the most popular common reading picks for the 2010-2011 academic year according to a report by the National Association of Scholars! Click here to see other colleges and universities that have adopted these Popular Picks from Macmillan. For its second annual Summer Reading Program, Jacksonville State University has selected This I Believe: The Personal Philosophies of Remarkable Men and Women. All incoming freshman students will pick up a copy of the book at the campus bookstore when they attend Gamecock Orientation sessions in June and July and read it before they return in the fall. This I Believe II: More Personal Philosophies of Remarkable Men and Women is the Ranger Read at the University of Wisconsin, Parkside this fall. First-year students, the newest class of UW, Parkside Rangers, received copies of the book when they visited campus for pre-orientation sessions in April, May, June, July, and August, leading up to the Ranger Welcome orientation just before classes started this month. On the first day of Ranger Welcome, the new freshman class formed small groups and faculty and instructional academic staff facilitated discussions about the book’s content and its context, the students’ beliefs, their expectations and perspectives about success at UW, Parkside, and the university’s central values: academic excellence, community engagement, diversity, and inclusiveness. The Ranger Read program was introduced in 2006 to jump-start the transition to the demands of the college-level learning environment, where successful students question, understand, and develop their own opinions about a text and where the shared reading experience helps develop relationships among faculty and peers. Both volumes of “This I Believe” essays compiled by Jay Allison and Dan Gediman, host and curator and executive producer of the NPR program of the same name, are Popular Picks for common reading programs. Click here to see other colleges and universities that have adopted This I Believe, This I Believe II, and other titles from Macmillan. Tufts University has selected This I Believe: The Personal Philosophies of Remarkable Men and Women, based on the NPR series of the same name and edited by Jay Allison and Dan Gediman, for the 2010 Common Reading Program. This July, the university is sending a copy of the book to each incoming first-year and transfer student. When they arrive on campus in the fall, they will engage in conversation with fellow students, Orientation Leaders, and faculty advisers. In the “spirit of openness and free thought” embodied in Edward R. Murrow’s This I Believe project, Tufts is also holding an essay contest. All first-year students are invited to submit their own This I Believe reflection essay; two winners selected by a faculty committee will receive an honor at the Class of 2014 Matriculation ceremony. Students, faculty, and staff nominated more than 65 titles for this year’s program; This I Believe was selected for its potential to engage students and to build community through discussion, its reflection of Tufts’ core value of active citizenship, and because it lends itself to a variety of disciplinary perspectives, among other criteria.